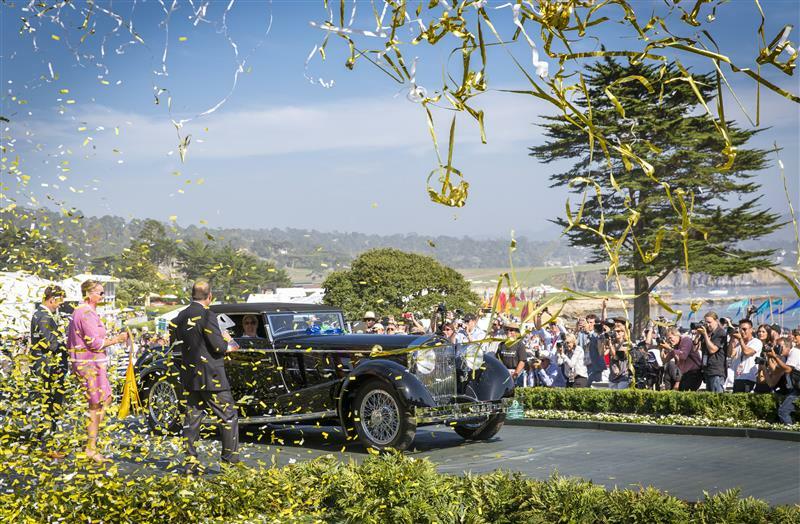 Each year only one “Best of Show” award is given out at Pebble Beach Concours d’Elegance. This 1924 Isotta Fraschini Tipo 8A, owned by Jim Patterson Collection, was a previous winner. This weekend — starting today — promises to be a truly exciting one for car lovers and watch lovers. It is Monterey Classic Car week and that is huge news. The event includes the famed Pebble Beach Concours D’Elegance®, the Rolex Monterey Motorsports Reunion, The Quail, a Motorsports Gathering and more — and Rolex plays a role in most of them. Rolex has long been involved in motorsports — starting with a strong relationship in Daytona nearly 70 years ago, and continuing to events around the world today. 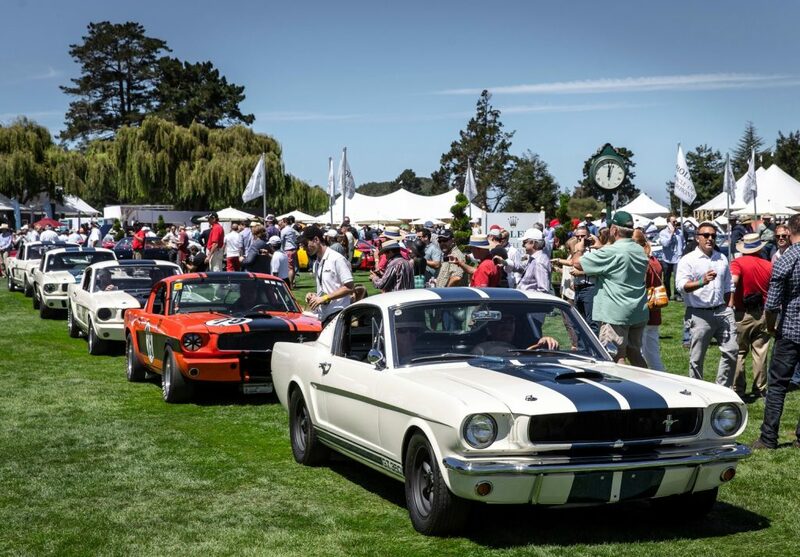 The Pebble Beach Concours D’Elegance, which takes place on Sunday, has been taking place on the 18th fairway of the famed Pebble Beach Golf Links course since 1955. Here, a couple of hundred invited classic cars and motorcycles are on display — with awards for various categories. However, only one vintage car will win the prestigious “Best of Show.” Rolex has been the Official Timepiece of this event for 20 years. This weekend ushers in the Rolex Monterey Motorsports Reunion at Mazda Raceway Laguna Seca. Leading up to the big day on Sunday however, are a host of other impressive events. Beginning today, the Pebble Beach Tour d’Elegance® Presented by Rolex takes place. The kick-off to the weekend, this is a driving tour of more than 175 vintage cars that line up to drive the breathtaking coastal roads of Carmel-by-the-Sea. Also starting today and running through Sunday is the fantastic racing event of the weekend: the Rolex Monterey Motorsports Reunion at the legendary Mazda Raceway Laguna Seca. This year, the Raceway celebrates its 60th anniversary and a host of exciting added events will take place. Intact, two Rolex brand ambassadors will be on hand: Sir Jacki Stewart, three-time Formula One World Champion; Tom Kristensen, nine-time winner of the 24 Hours of Le Mans. Rolex is the Official Timepiece of The Quail, A Motorsports Gathering. I have been to Mazda Raceway Laguna Seca for the Rolex Monterey Motorsports Reunion and I can honestly say that it was a highlight for me. The track is a very demanding one — with abrupt hairpin turns and steep changes in elevation. The races witness more than 500 historic cars competing over the course of four days. The Quail, A Motorsports Gathering, takes place on Friday. The garden party on the greens of Quail Lodge & Golf Club witnesses Rolex as the Official Timepiece. Car lovers and watch lovers – there is still time to jump on a plane and experience this fantastic weekend first hand.